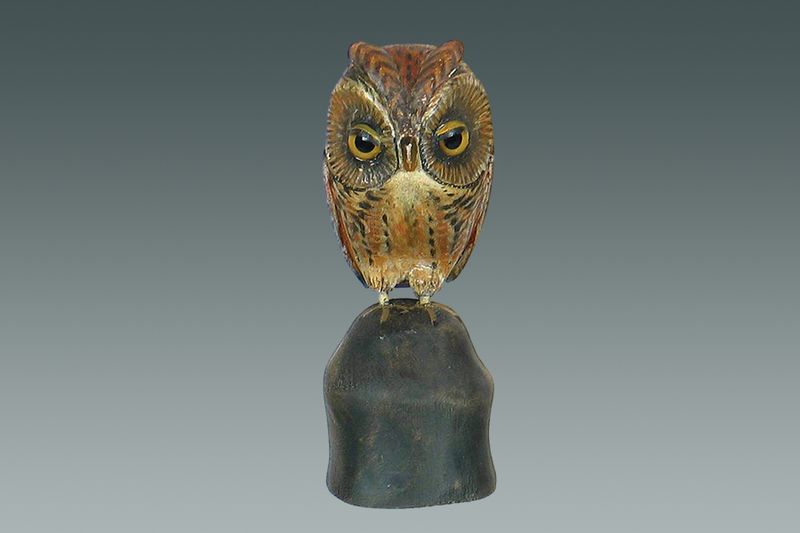 Screech owl by Crowell $5462.50. Thomas Wilson feeding willet $220,000. 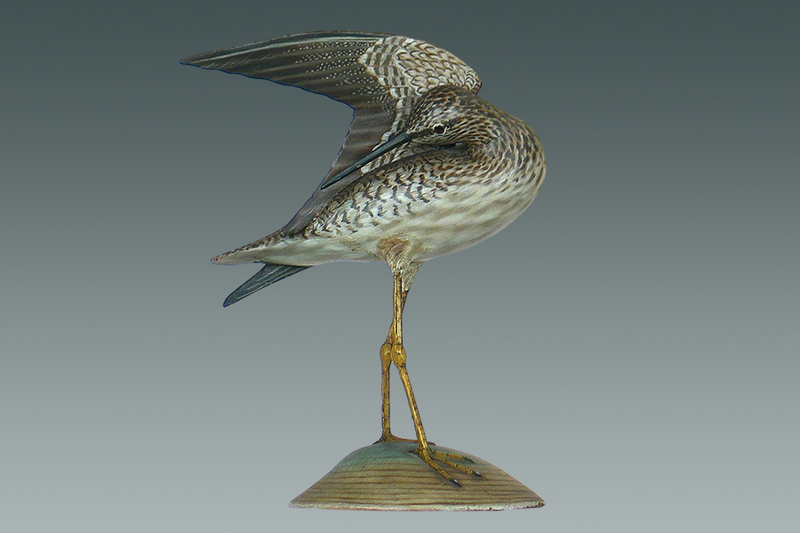 Bowman yellowlegs found on Martha's Vineyard sold for $28,750. 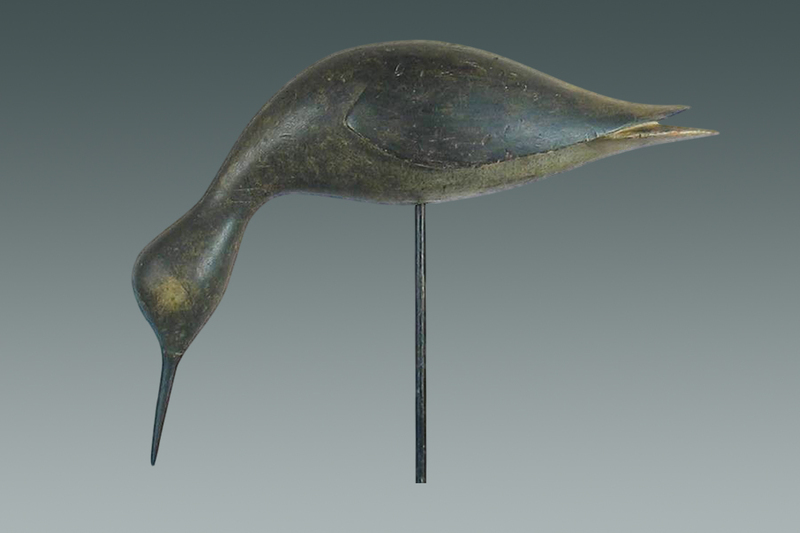 Crowell preening summer yellowlegs $16,100. 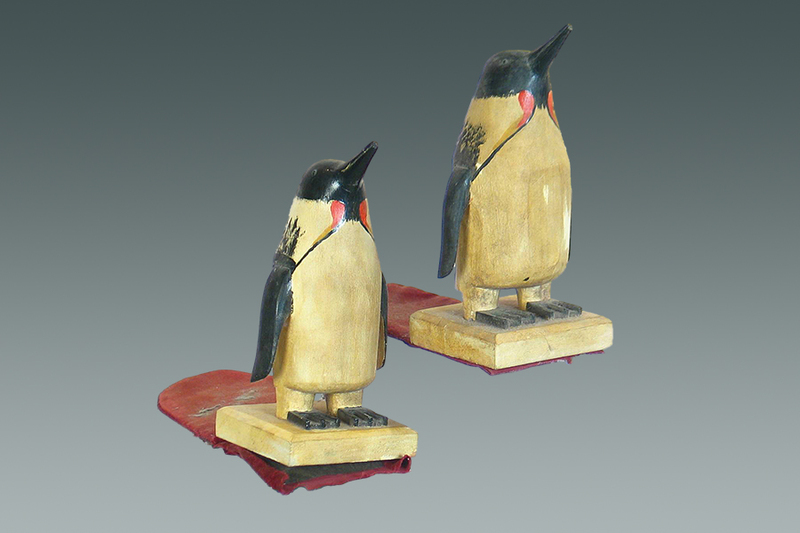 Emperor penguins made as bookends by Charles Hart of marblehead, MA. $3450. 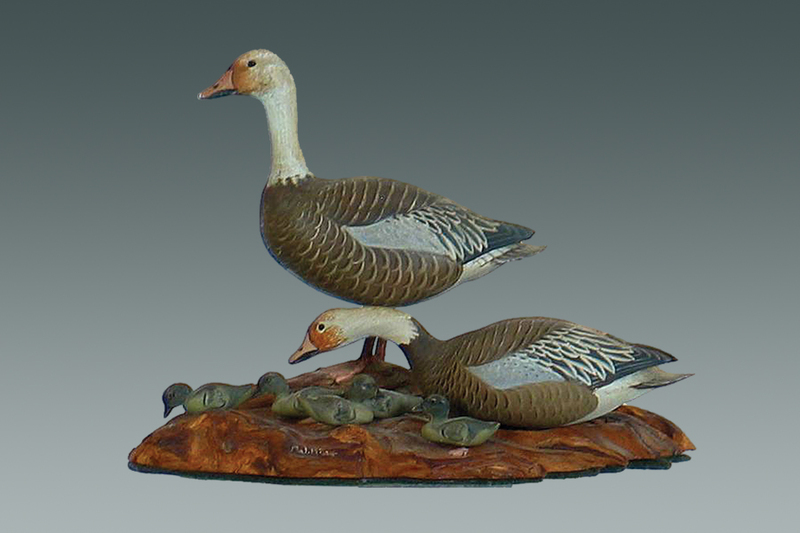 Swimming Canada goose miniature by Lewis Webb Hill $2587.50. 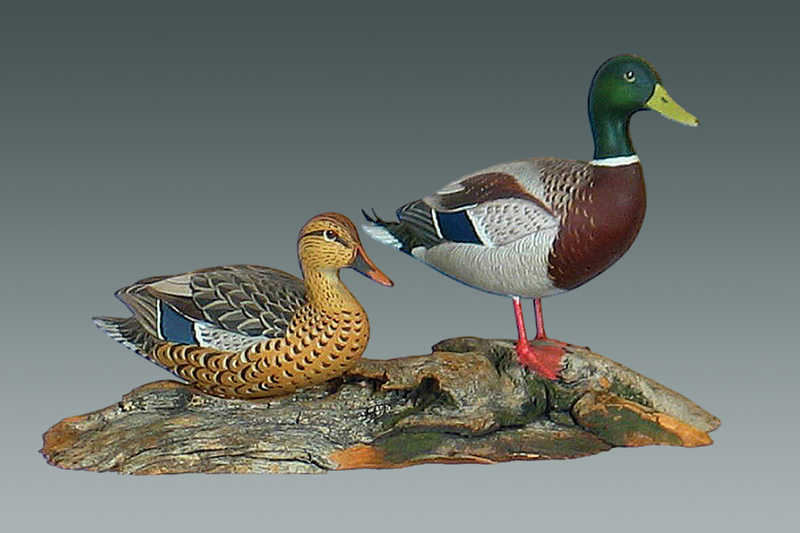 A J King mallards brought a solid $3750. 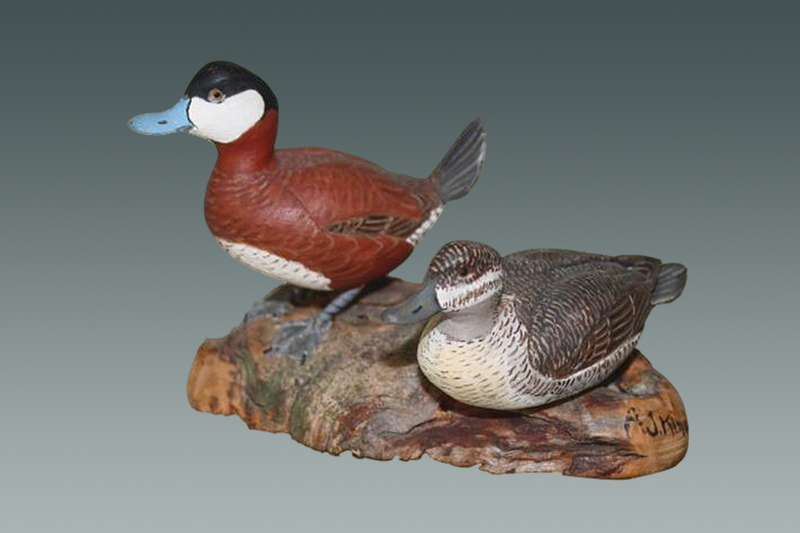 Pair of exquisite A J King ruddy ducks sold high at $5750. 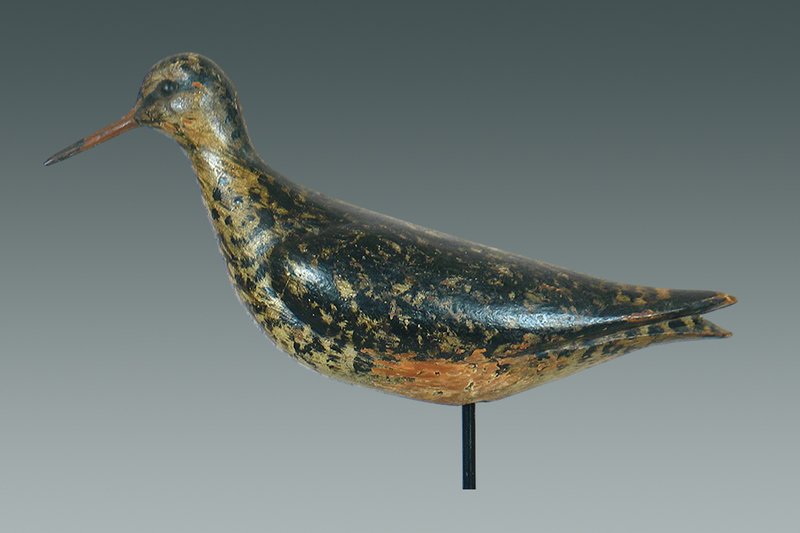 Early transition peep sold for $18,400. A J King Snow Goose family brought $5750.